From their album artwork to their recorded music to their promotional material, local group DIIE are committed to their aesthetic. 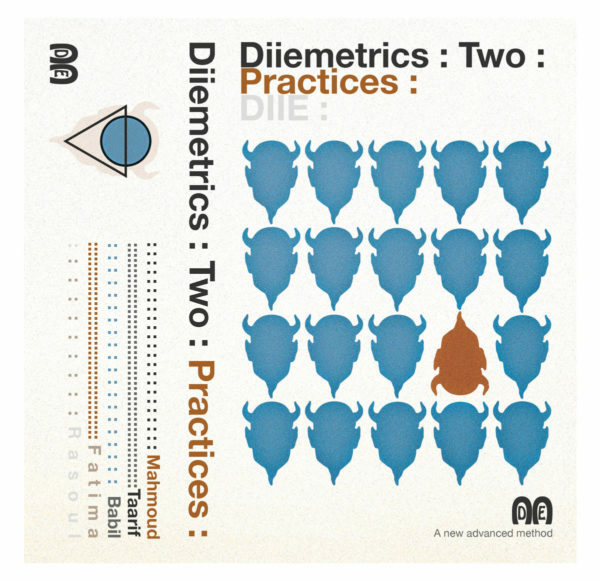 Crafting a heady, charging amalgamation of guitar-driven krautrock shenanigans, post-punk grooves and a general sense of outsider art (including a fake, cult-sounding self-help ad in the middle of the album), their new tape Diiemetrics​:​2​:​Practices follows Diiemetrics:1 earlier this year and is another extension of their growing sound and vision. It is up in the clouds at times, but when they lock in a groove, especially on the long and hypnotic tracks “Babil” and “Rasoul,” there is no joking around. You can listen to the album below and buy the album for your own spiritual and sonic exploration. The band are celebrating their double tape release tonight at Mortimers with fellow travelers Graveyard Club and The Cult of Lip. More info and RSVP HERE.